Crystal Productions Projectable CD-ROM Posters are teaching posters in digital form. You can view and project them using any computer, print them as individual student handouts, or display them on a whiteboard. 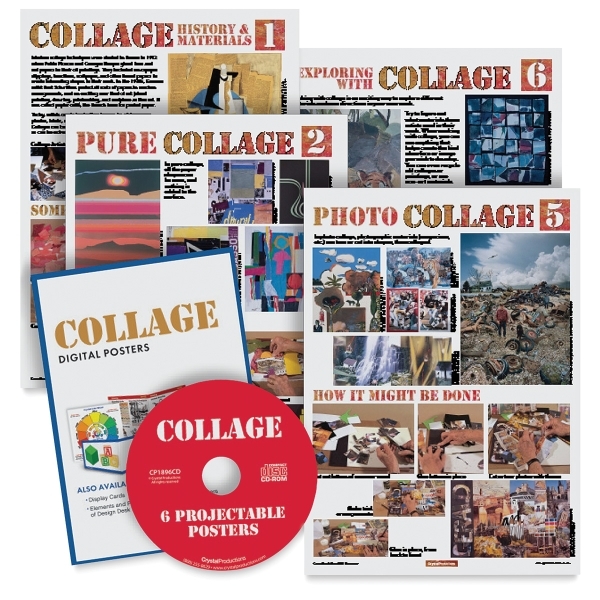 The six posters in this set include History and Materials, Pure Collage, Partially Integrated Collage, Fully Integrated Collage, Photo Collage, and Exploring with Collage.